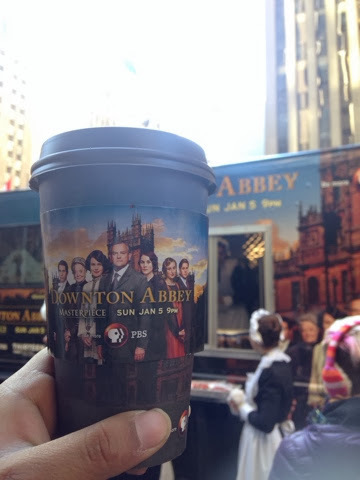 WillingToBeLucky.net: The Cast of Downton Abbey in NYC! The Cast of Downton Abbey in NYC! With the season 4 of Downton Abbey about to hit the US, the cast of Downton Abbey returned to NYC for press and fan events! 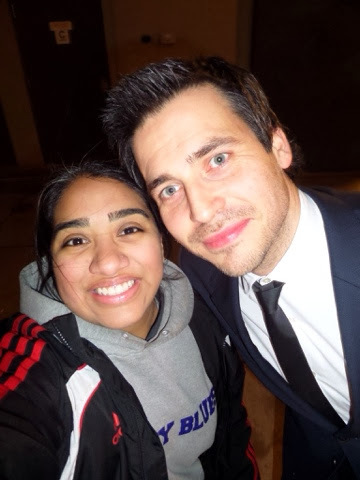 Last year, I was lucky enough to attend the fan event at the Essex Hotel! It was a blast and I was able to start a cast piece. So this year, though I wouldn't be attending the official event, I was excited to see the cast! 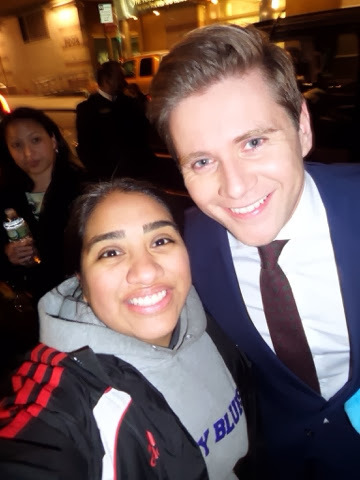 This year, Lord Granthan (Hugh Benneville), Lady Mary (Michelle Dockery), Lady Edith (Laura Carmichael), Tom Branson (Allen Leech), Mrs. Hughes (Phyllis Logan), Mrs. Pattmore (Lesley Nicol) and Thomas Barrow (Rob James-Collier) came to support the fourth season! Over the course of their stay, I was able to get everyone to sign my cast piece (save for Ms. Logan) and was even able to get photos with a few of them, though my camera malfunctioned when I was trying to snap one with Ms. Dockery! They were all so gracious with their time! 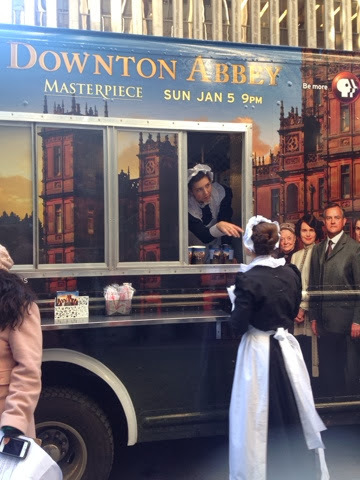 That same week, throughout Manhattan, a Tea truck gave out free tea and biscuits to fans to celebrate the return of the hit show! It was delicious tea (and is available to purchase at Shop PBS)! 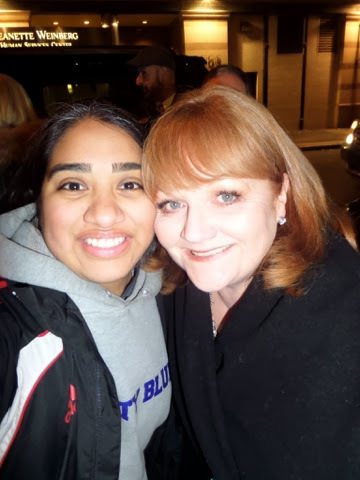 It was a great Downton-filled week! Make sure to catch the return of Downton Abbey on your local PBS station starting this Sunday, Jan. 5th! Follow me on twitter for more NYC adventures- @Corellianjedi2!